New Delhi: The Japan International Cooperation Agency today submitted the final report on the feasibility study of the proposed high-speed rail system on the Mumbai-Ahmedabad route to the Indian Railways minister, estimating the ambitious project would cost Rs 988,050 million. The bullet train aims to reduce the travel time on the 505-km long corridor between Mumbai and Ahmedabad to two hours from the existing more than seven hours. Japanese Ambassador to India Takeshi Yagi led the official JICA delegation for submitting of the report to Railway Minister Suresh Prabhu here. 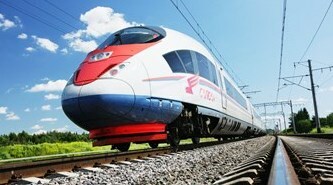 The report estimates that the country’s first bullet train running over 300 km per hour will cost Rs 988,050 million. It also suggested that its fare would be higher fare than that of the First AC of Rajdhani Express, said a senior ministry official involved with the project. The final report submitted by the Japanese envoy assumes significance as the bullet train is Prime Minister Narendra Modi’s pet project. Railways will examine the report and decide the future course of action, the official said. As a follow-up action, a Cabinet note seeking approval for the project with an outline of the project feasibility and timelines is likely to be prepared next month. If work begins in 2017, the line can be completed in 2023 and made operational in 2024. After the study of the financial feasibility of the line, the final report suggests the fare of the bullet train between Mumbai and Ahmedabad may be somewhere around one and half times more than the fare of the first AC of Rajdhani Express and it would be around Rs 2,800. It is estimated that by 2023 around 40,000 passengers are expected to avail this service everyday and accordingly it would be a financially viable service. Besides JICA, SNFC of France has already carried out a feasibility study of the route and has submitted the business model to the ministry. The Mumbai-Ahmedabad corridor is expected to enable trains to run at a top speed of 350 kmph. From the initial estimated cost of Rs 650,000 million, it has has gone up after taking into account various factors like price escalation and interest. According to the official, Japanese government has offered to fund the project at a low interest rate. However, the loan offer comes with the rider that 30 per cent of the rolling stock for the project would be sourced from Japanese firms. A financial rate of return (RoR) of 4 per cent and an economic RoR of 12 per cent has been projected for the project. The Japanese agency has suggested that the line be constructed on the internationally accepted “standard gauge”, as against certain opinions in the Railways that the “broad gauge” option be considered since India’s main line train operation is based on the broad gauge only. JICA’s final report points out that high-speed running of over 300 kmph are done on the standard gauge across the world. In his budget speech in March, Prabhu had said that “quick and appropriate action” on executing the high-speed project would be initiated after the submission of the JICA’s final report.